Tuesdays proceedings begin with the first of 6 artist presentations. Ruudt Peters, the man who holds a sceptre of contemporary jewellery, begins with his personal artistic history. 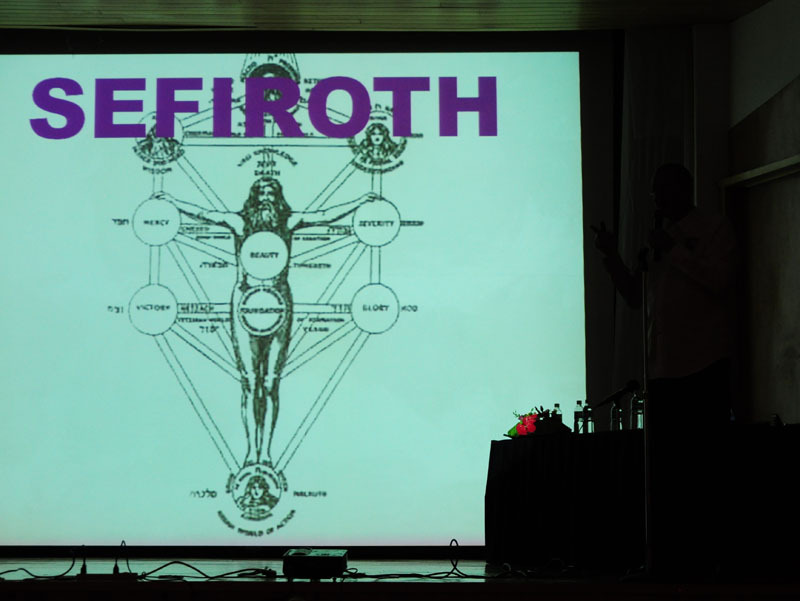 Born on the family ‘beauty farm’, he hints at religious upbringing being linked to a deep interest in alchemy. The legend of turning lead into gold, he proposed, is a metaphor for personal, spiritual transformation and development. Taking this further, Peters’ artistic curiosity holds a consistently personal progressive nature that has led him to Bangkok, a suitably named city for work on fertility symbols, and to knotted prayer flags in Tibet, he describes as ‘beautiful’. His most recent displayed work is the silver castings of water cooled wax, stemming from his attempts at blind drawing through meditation. A mindfully abstract result exhibiting natural beauty appears to have been his motive, whether conscious or not. His playful yet passionate practice is summed up in a final quotation he has found from Augustin of Hippo, the Roman Scholar- ‘If you grasp at things too seriously, then the beauty retreats’ Ending his presentation to genuinely enthusiastic whistles and applause, it is clear to see Peters boisterous persona has established a connection and understanding with members of the Latin American audience. 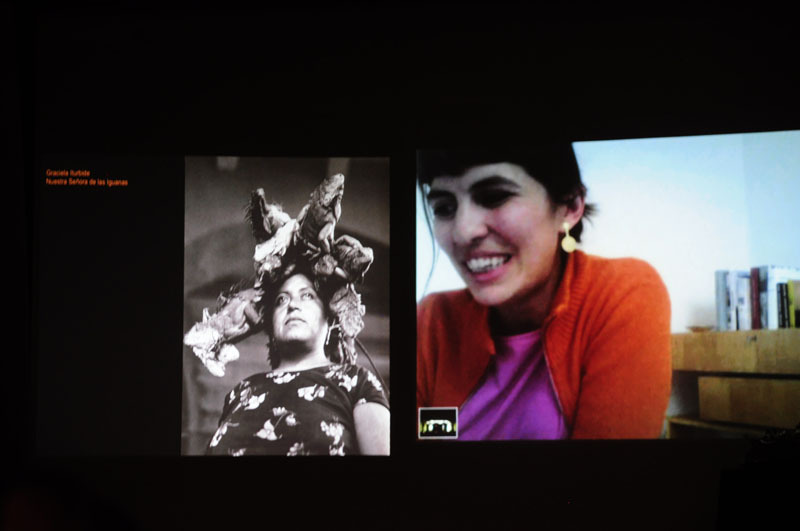 Following that, the videoconference by Monica Gaspar of Gaspar went as smoothly as modern technology would allow. She praises the efforts and aims of the symposium, modestly stating that the European world of jewellery sometimes doesn’t know enough about the work of Latin America but earnestly describes it as a ‘sphere of shared interests’. Also, she is keen to share her knowledge of European exhibitions, especially ‘Schmuck’, with the audience. In comparing the profession to a shaman or mystic, Gaspar also touches on a theme that seems to be reappearing within the walls of the symposium and that the work of a jeweller points toward ‘an impossible type of jewel’. In her Artist Presentation, Manon Von Kauswijk gives us a brief overview of the progress she has made so far in contemporary jewellery. In having trained at a traditional silversmithing school in Roothoven, The Netherlands, Von Kauswijk quickly tells us she only took the technical aspects away from that particular institution. However during a visit to Kathmandu, she describes the discovery of a tradition that fitted with her interest in beads: a painted bird with beads in beak on the walls of houses to serve as a reminder of hospitality and trust. Later work with pearls shows a continuation of this interest and a move towards themes of classification and collection, comparing childrens shell collections with that of a natural science museum. 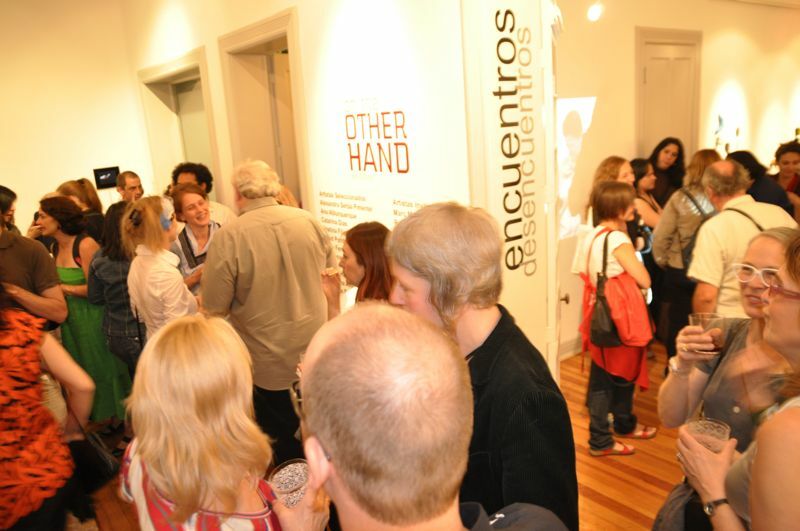 Her exploration of the relationship between people and objects is apparent in this work. She ends her presentation with words of inspiration for true collectors- ‘Objects are there, it’s up to you whether you discover them or not’. Jorge Manilla and Martha Hryc perform their dual presentation with equal passion to the previous speaker. To begin with, Hryc paints a fascinatingly depressing picture of life in Poland, prompting equally moving philosophical statements. She compares the artist to a prostitute and quotes Jean Paul Sartre on humans only living through the perceptions of others. This appears to explain the interpersonal nature of her work. She has made a migration of identity, overcoming boundaries of nation and culture, stating that our similarities predominate our differences. 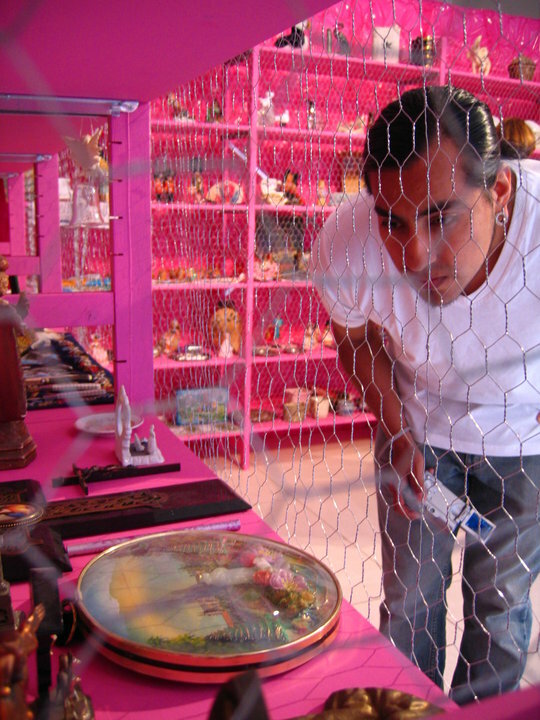 Jorge Manilla finds juxtaposition between his art practice and the notions of therapy, as if his passion for jewellery is a ‘fixation or addiction’. Born in Mexico City, he speaks of the tragedy of seeing children sleeping on the street, linking the suffering of the population to religious themes, the churches icon of the ‘blind boy’ and of body cleansing rituals. Manilla takes us back to the 70s and 80’s, a time of youth disillusionment with the state of Mexico and describes himself as a child of the ‘X’ generation, many of whom adopted the punk style in an attempt to find a non-mexican identity. With spiked hair and metal clad jackets, one wonders if he is drawing a subtle comparison to the outfits of the Ancient Aztecs. After having been a successful jeweller for many years, Manilla’s migration to Europe yielded a discovery of contemporary work, changing his perspective on jewellery and forging international aspects in his practice. He ends by voicing a humorous frustration- that for him jewellery is a constant search, but you find more questions than answers. ‘The Labyrinth of Synchrony’ presented by Beate Eismann is an exploration of her Mexican-German identity through working in Europe but maintaining a consistently strong link with her Mexican culture through literature. This influence can be clearly seen in her previous work; pieces made from interpretations of quotes by Mexican authors and more recently, of brooches made of paper, perhaps a more direct materialisation of her link across cultures. She champions the ‘impulsive’ nature of Mexican literature and also cites inspiration from the performance of Carlos Santana. Mirla Fernandes of Brazil has come a long way in her artistic odyssey. Starting out as a biochemistry student, Fernandes soon found a deeper interest in Fine Art, painting large pieces and praising Matisse for creating technique out of necessity. However, after discovering the joy of melting silver, Fernandes’ practice migrated to jewellery, where she says the scale felt more comfortable and preferred using ‘fire as a brush, silver as paint’. She appears to be primarily concerned with themes of inner self and body consciousness, no doubt with a link to her previous scientific studies. Further to this, as a practitioner of martial arts, she sums up her presentation philosophically by telling the audience that nothing is more precious than to be alive and to ‘evolve the soul’. And as a visitor to Schmuck, Fernandes is clearly among leaders within integration Latin American- European jewellery. Having already made an impact on the world of contemporary jewellery in Germany, Japanese-born Jiro Kamata shares a presentation of his work to a Latin American audience. Gasps, laughter and bursts of applause ring out as we are taken on a graphical journey that begins with rings of sellotape with self-applied lipstick between layers, to brooches and rings made from the tinted lenses of sunglasses and then to a fascinating exhibition of aluminium spheres in patterned cages. But Kamata really shows his maturation as a jeweller with his final pieces. Brooches and pendants with gem or jewel-like properties turn out to be made from camera lenses. ‘Jewellery opens your heart and shows it to others’ he tells us. Seeing this in the intensity of colour and technically sound design has allowed the work to speak for itself. After showing a video of a successful exhibition in his hometown of Hirosaki, Kamata ends the presentation to an explosion of applause that represents mutual appreciation of this crossing of East and West cultures. 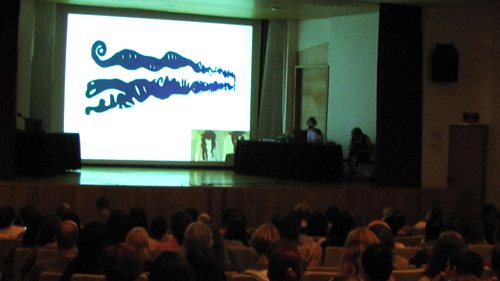 Dr. Xavier Andrade of Ecuador presents a dialogue between anthropology and contemporary art. As an anthropologist, we are given a fascinating insight into the world of Latin American jewellery from an academic point of view. Referring to Dr. Clemencia Plazas, he brings our attention to ways in which it is possible to translate issues of identity in contemporary art. One method suggested is that jewellery can convey stories or legends that refer to a particular culture or history. Ending with a particularly cogent example, he shows us a homage to the most popular singer in Ecuadorian history, Julio Jaramillo and how this certain piece communicates this Latin American legacy.